Total your entries and leave your links below. Contest ends December 26, 2010 and is open internationally. I love the bookmark! Mermaids are my favourite mythical creature! I hope I win:) Thanks. +1 I visited her blog. +1 I like the Siren Charm Necklace. Awesome giveaway! I would love to win this bookmark! I fan waterwife on Facebook as “antonella mazzariol”. +1 for visiting her Blog…and following. +1 follow your blog via GFC. Love the adorable mermaid bookmark. mermaids are such a beautiful romantic symbol of longing and impossibilities. I like waterwaif on Facebook! I like Sand Dollar Necklace from Siren shop! Beautiful giveaway! Thank you for the chance! Beautiful! I have a friend I’d definitely give this to! I ♥ mermaids! Great bookmark. I should have 11 entries? Coming back to promoto more later! I would love to win this to give to my daughter who is a avid reader but also loves the world of magic, it is often what she reads about. This book mark would be perfect for her. She also REF– USES to fold pages in books (she will be ten in a week) LOL. +1 Thanks for the chance! I love bookmarks! Please count me in! +1 Siren Fine Art Photo..love it!! +1 Comment- i love mermaids in art! I love this book mark! 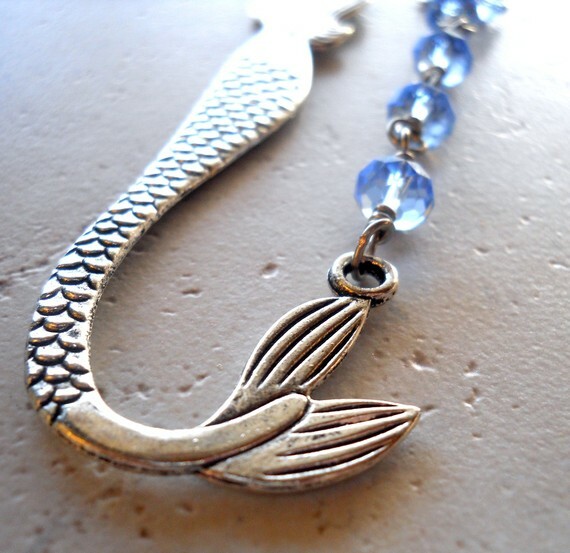 The mermaid bookmark is so pretty. Lovely, and so useful for someone who likes to read as much as I do! This bookmark looks so pretty! Beautiful book mark, I love it! This bookmark who would be great! Wonderful giveaway! 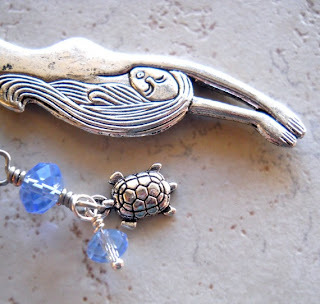 I love mermaids and this bookmark is great! I saved a similar item as a favorite on waterwaif’s etsy.com’s store! +1 I like the Sea Horse Fine Photography. +1 I am a blog follower.